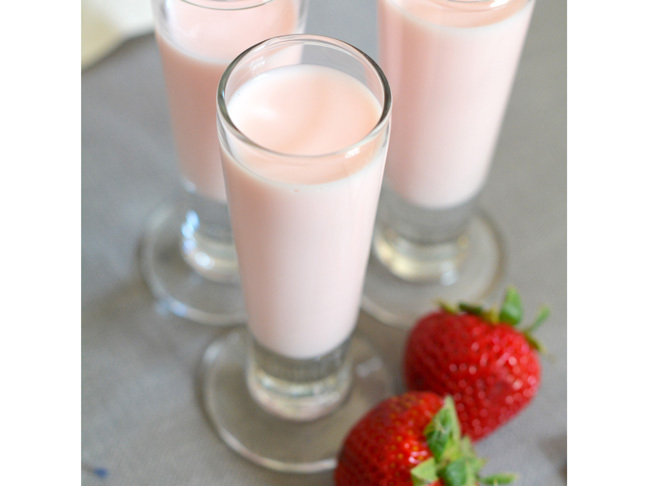 The strawberry milk recipe I grew up with consisted of a thick red syrup my mum found at the supermarket mixed into milk. It seemed fine at the time, but when my daughter asked for strawberry milk I wanted to see if I could find a slightly healthier version. Since we have lots of fresh berries on hand this time of year, it wasn’t too much of a stretch to attempt to make it myself. 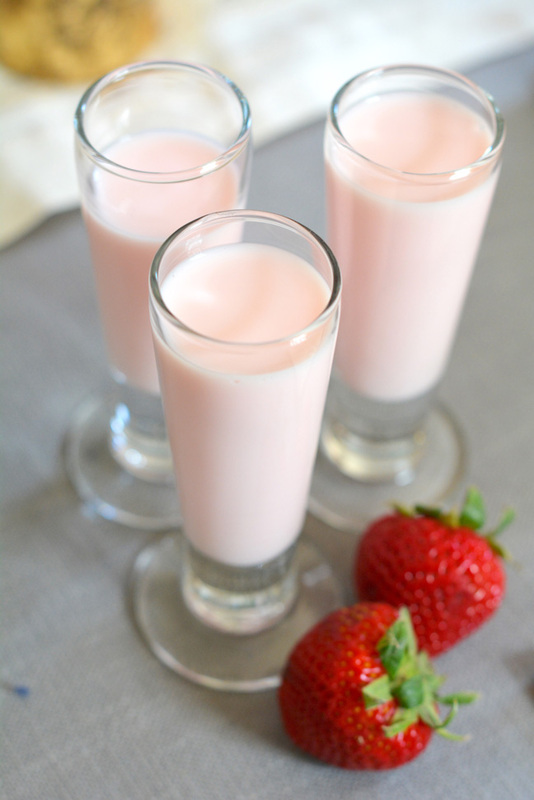 I started by making my own homemade strawberry syrup for my strawberry milk recipe. Then I let it cool and blended it with regular milk. It was pretty simple all in all, and the flavor was way better than anything I could buy at the store. To cap them off, we rimmed some little glasses with sanding sugar and made these great drinks. Step 1: In a small saucepan add the strawberries, sugar, and water and bring to a boil for about 10 minutes. Stir it occasionally so the mixture doesn’t stick to the bottom of the pan. Stir in the vanilla extract. Step 2: Position a strainer lined with cheesecloth over a large bowl, and pour the strawberry mixture over it to strain out all the seeds and similar. Allow the strawberry syrup to cool to room temperature. Step 3: Then, whisk in the milk until the entire mixture is smooth. Pour into rimmed glasses and serve!